The Lima City tour was fun and informative. Great intro to the city and the country! If you are looking for a bike ride in Lima we offer you many options to choose from. For those that like to ride bikes far from the city and traffic, and breath fresh air, doesn´t matter if you are not a singletrack expert, Pachacamac Hills and Lurin Valley are the ideal places. But if you are a real fanatic of Mountain Biking, Pachacamac and its singletracks and El Morro, are your choices. If want more (usually between May to November) then, Olleros trail is best of, in two versions: singletracks for experts and road for beginners. Then, if you are able to spend more time in Lima, we may arrange 2, 3 or more days trips near Lima like Paracas or Caral or maybe a groupal trip along the whole country for you and your friends. Write us and reserve a bike trip, we will be pleased to offer you the ride at your own measure. Our commitment is to try to offer you good and well maintained bikes. This is our basic kit of bikes we have for you. And every bike comes with a helmet. We recommend to bring with you, a small backpack, maybe a bottle, your helmet, lenses and gloves or your protective wear, in case you will need. And if you bring your biking shoes, then, bring your pedals and we will install them on the bike. 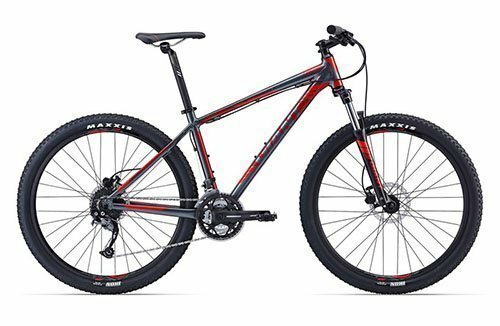 Tires 27.5 | Gears 2×10 | 120mm susp. Tires 27.5 | Gears 3×8 | 100mm susp. Tires 27.5 | Gears 3×9 | 120mm susp. MOUNTAIN BIKE PERU © 2018. ALL RIGHTS RESERVED.